When September comes around, you know it means, “let’s get down to business.” For some businesses, Summer is a little bit slower, which puts us into a slower business groove. Kids are out of school, you took a vacation a few weeks back, but now you are back in the office and it’s time to tighten up loose ends and strap down for Q4. Just as our younger counterparts are going through orientation, reorganizing their notebooks, getting new school swag, you should be doing the same. It’s time to revamp your office, lists, and strategies to reflect your end of year goals. Let’s look at a few ways to reorganize for a successful Fall. Evernote: Make your to-do list in Evernote and check items off as you go. These notes are also available to share with others in case you have a collaborative list. 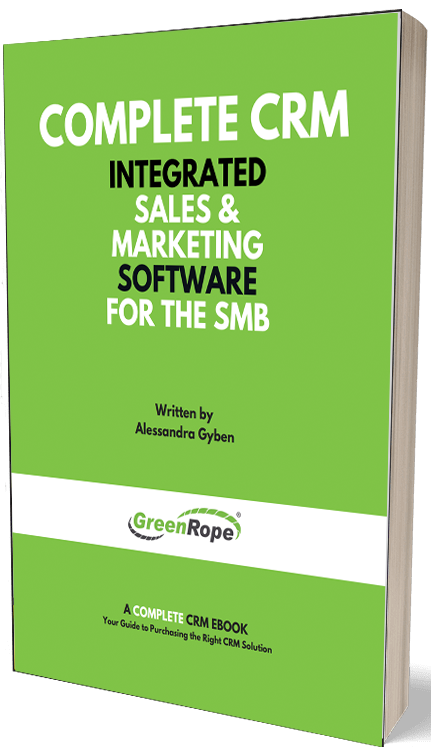 GreenRope: While GreenRope is predominately a CRM and marketing automation platform, it also acts as a project and task manager. Utilize the project and task manager to hold yourself accountable and always have your priorities with set deadlines. One mistake many people make is trying to bounce between projects. I know, from personal experience, that this is a very unproductive way to accomplish your work. Most of us multitask in most areas of our lives, however, important projects should require your full attention. I advise you to focus on one task and dedicate a certain amount of time to that. Once you reach a good stopping point, then switch to another project. Going back and forth is never productive so make each time slot count! You may have a very long list of to-do’s and you may consider them all ‘priorities.’ Take a step back and really thing about what is important and what can wait. When you take a few tasks off your plate, you will find you can get more done and finish your projects faster. Remember, the more you cross off your list, the more you can put on. Just make sure you are reasonable with how many priorities you are assigning yourself. This may not apply to all, but it definitely applies to most. When we are in an organized environment, we are more likely to make organized schedules. The cleaner you keep your desk, the more focused and efficient you will be in your work. This also applies to your desktop. It kills me to see a desktop cluttered with images, word docs, presentations, and so much more. Take some time this week to clean up your desktop and create folders for all your work. This will make a world of difference when trying to get things done. These three points are easy to implement and a great way to jump back into the swing of business. What do you use to keep yourself organized?